Do you have a Minute to Volunteer for Us? Got some free time on your hands? SEO: Even if you have an hour a week, you can help! We’re looking for someone who is familiar with WordPress and has dabbled in SEO to help beef up our website. We’ll even train you! Update: We’d like to thank Carole Zieler for her help and tips regarding WordPress & SEO! Twitter: We need someone to Tweet daily on our behalf! Update: We’d like to thank Cynthia Dancel for volunteering to post on Twitter, but we would love to have 2 or 3 people posting for us! If you love to tweet, raise your hand! Photo Editor: We always need folks who can use online photo editing software for our special events! WordPress Blogger: We want to thank Jessica Purvis for blogging on our behalf. If you love to write and you’re familiar with WordPress, we have a stockpile of articles that need writing! The Dog Liberator is looking for special people to join our core group of volunteers. Volunteering for any non-profit is not expected to be a forever thing. You do what you can, when you can, and when life gets in the way and you don’t have the time to help anymore, it’s okay! We appreciate whatever it is you can offer! Your time will help us rescue more great dogs, and help us find funding resources for our Veterinary Care Fund. Over the next few weeks, we will be identifying tasks that are easy to do but very important to our organization. All of these jobs have been designed so that only a few minutes of your time will be needed. Most of these jobs can be done from your home and do not require any travel! Experience is not necessary, but helpful. We will train you! While good writing skills are a plus, some of these jobs are simply copy/paste. What’s in it for you? If you’re a student, and you need to complete Volunteer hours, we certainly can help you there! Or if after completion of your task, you need a reference from us, we can help you there too! The true reward is that you are helping us rescue abandoned dogs that deserve to have a great home. Yard Crashers: We have posted details about how we are trying to transform the dog’s yard into an awesome place for the dogs and an awesome adoption facility. Please review the details by click on Yard Crashers if you can help! We want to thank Joshua and Franz for their help last week laying new sod! 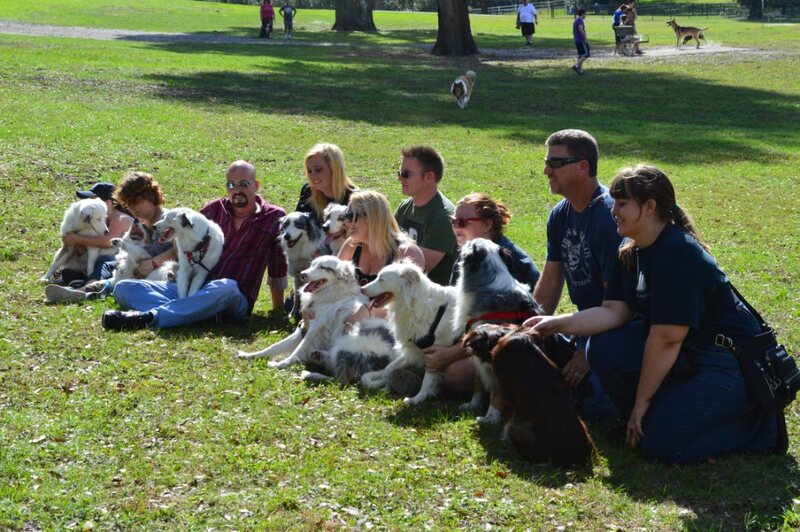 Aussie Adopters line up for a photo shot at our 2013 reunion! Join our team of dog-lovers and volunteer! Grant Coordinators: Filled by Andrea McEnulty and Mike Goldblatt – Andrea and Mike will comb the internet, identify grants that we qualify for, and provide us with the application due date. We are not asking for a grant writer, just someone to help us along and make sure we’re on track! This task will require approximately 2 hours a week at first, and then will be simply maintained on a monthly basis. Google Calendar Guru – Filled by Dawn! She will maintain our adoption calendar, and post adoption updates on our Facebook Page on a regular basis. *SEO Editor: Not Filled – While Drew has been a tremendous help, we still need someone to add SEO titles and tags to our posts on our blog. This job can be completed on a monthly basis and should not consume more than one hour of your time. *WordPress Author: Not Filled – someone to update posts by adding new photos of our adopted dogs and someone who can interview our fosters and write posts from scratch about our available dogs. If you have ever wanted to be a Blog Contributor, here’s your chance! Again, we will train you! *Researcher: Not Filled – We have many articles we’d like to write to help dog owners, but we need someone to do some internet research before we can publish. If you love to investigate and document, please raise your hand! 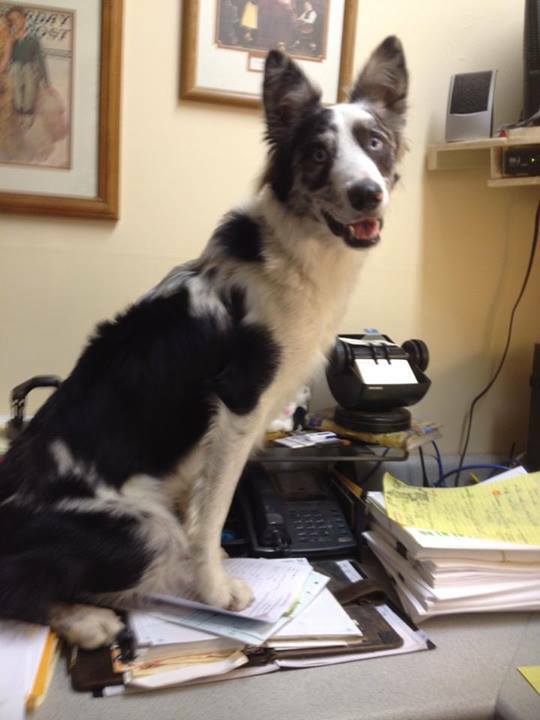 Database Administrator: Filled by Dawn Van Ness – Dawn (who adopted Amelia) will add adoption information to our adoption and microchip database. She will work on site in Deltona, approximately once a month for 2-3 hours. *Pinterest Guru: Not Filled – Angie was very helpful posting, and lately Vanessa has done a great job helping us, but we always need more Pinterest help! This task should not consume more than 15 minutes per day. Twitter Guru: Filled by Jennifer Graddy – Jen will post on our behalf on Twitter. This task should not consume more than 15 minutes per day. *Instagram Guru: Not Filled – Chris gave us a great start on Instagram, but we need more people to post on our behalf. *A Night Owl: Not Filled – Dawn and Sarah have been helping us but we still need more boots on the ground! This task should not consume more than 15 minutes per day. *Vet Recruiter: Not Filled – someone who can identify and contact Veterinary offices, introduce The Dog Liberator, and negotiate pricing so that our fosters have access to great Vets that will work with our rescue. *Advertising Coordinator: Not Filled – someone who can identify pet-related businesses and introduce advertising opportunities on our website. *Event Coordinator: Not Filled– someone who can identify and coordinate events, including fundraising events. *Fundraising Coordinator: Not Filled – someone who can inspire us and create new fundraising opportunities. *Community Liaison: Not Filled – someone who would introduce our mission to local businesses and create ideas for identifying corporate sponsors. HTML Guru: Filled by Lisa Yttri who adopted Billy Ray – Thank you Lisa! *Transport Volunteers: We want to thank Nathan and Jarrett for helping us transport our dogs to safety, but we always need more transporters. Some folks can help on weekends, some in the evenings, and some during the weekdays… If you have room in your car for a dog, and have some free time, please raise your hand! If you are interested in learning how to transport please email me at sarahwhite.thedogliberator@gmail.com and I will answer any questions you might have and notify you when I have a transport coming up so maybe you can come too! You wouldn’t be transporting, just meeting me to see how it works, get familiar with the logistics, and get some pointers. Special thanks to Jarrett Keene for jumping in and volunteering for us! If you have some free time to join our team, please raise your hand!